Kalaminoff from All-in Medicinal Seeds are feminised cannabis seeds that are originated by crossing the Jack Herer x Amnesia. These plants contain Sativa dominant genetics. All-in Medicinal Seeds Kalaminoff are weed seeds that perform well at an indoor grow and outdoor grow. This plant smells like lemon and citrus. Smoking this weed creates a relaxed and calming effect that is touchable in your head and body. This weed strain smells like incense with an element of lemon. 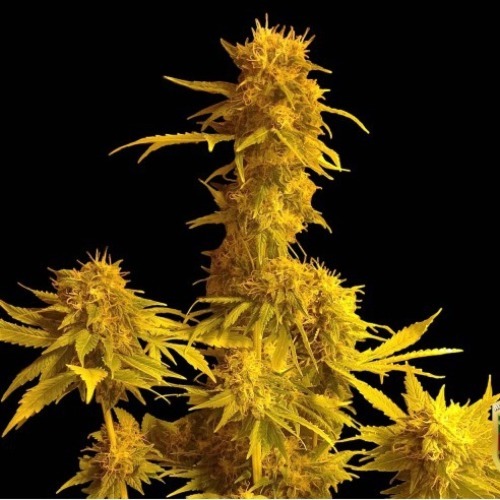 Growers with more experience can grow a delicious weed from these feminised cannabis seeds. Tell us and our customers what you think of the Kalaminoff from All-in Medicinal Seeds.